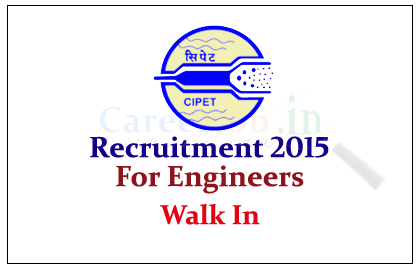 Central Institute of Plastic Engineering & Technology (CIPET) is Hiring for the post of Project Engineer / Junior Project Engineer / Project Assistant for the year of 2015. 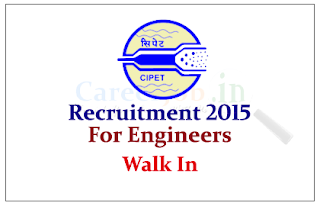 Eligible candidate can attend the Walk in Interview on 10thJune 2015. Polymer & allied industries in the country. CIPET operates on hub & spokes model with 23 locations spread across the length & breadth of the country. Eligible Candidates can attend the interview on 10.06.2015, for more details check official Notification.